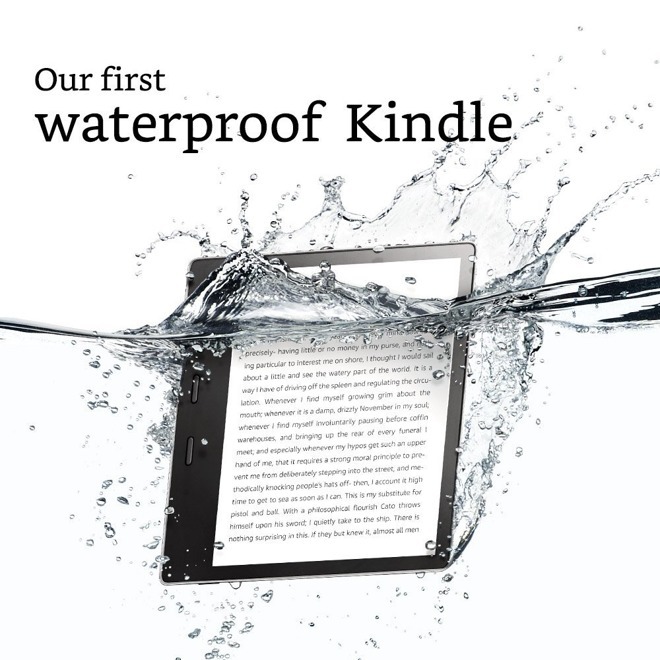 Hailing it as the "most advanced Kindle e-reader ever," the next-generation Kindle Oasis is the first waterproof Kindle, with a rating of IPX8. Priced at $249.99, the new Kindle Oasis is now available for preorder. It begins shipping to customers at the end of the month, on Oct. 31. The 7-inch e-ink display features a 300 pixel-per-inch density that Amazon says fits over 30 percent more words per page. 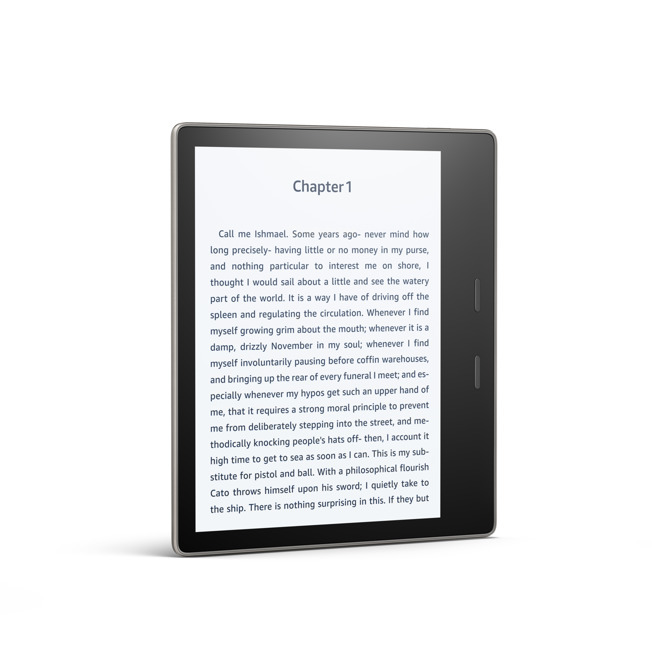 Improved internal hardware also allows for the fastest page turns of any Kindle e-reader. The Kindle Oasis has a larger bezel on one side with page turn buttons, allowing for easy use when holding with one hand. When rotated, the Oasis screen automatically turns to suit the user's orientation. The display is also a touchscreen. The new Oasis has also been improved with the strongest cover glass Amazon has used to date, and it has a new aluminum chassis. Even with those changes, it tapers to a 3.4-millimeter-thin design and weighs 194 grams, which is 10 less than the Kindle Paperwhite. 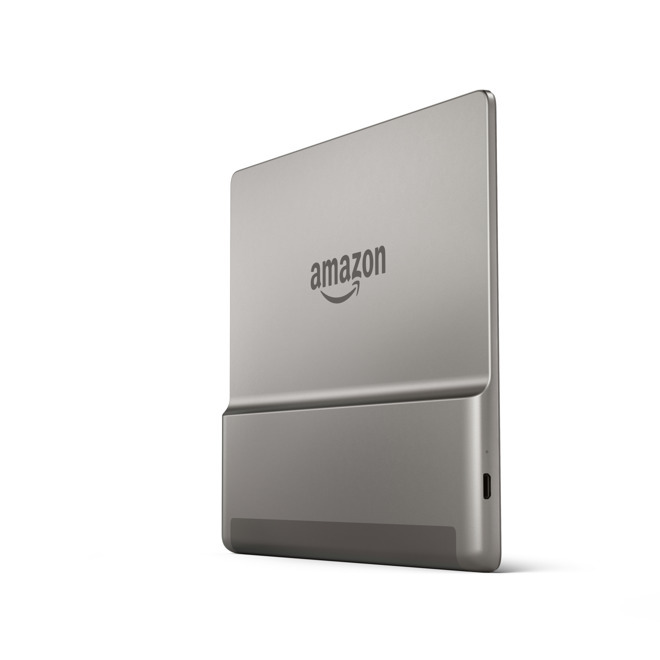 The entry-level $250 model features 8 gigabytes of storage, doubling that of the first Kindle Oasis. Capacity can be increased to 32 gigabytes for $280 — though both price points come "with special offers." Buyers who want to opt out from Amazon advertising will pay $270 for the 8-gigabyte model, and $300 for the 32-gigabyte capacity. In addition, a $350 ariant with free cellular connectivity includes 32 gigabytes of storage and lacks "special offers." As with other Kindle hardware, the new Oasis syncs with other platforms and devices, including the Kindle app for Apple's iOS, through what Amazon dubs its Whispersync technology. "Ten years ago, we introduced our first Kindle with the mission of delivering any book ever written in 60 seconds or less," said Dave Limp, Senior Vice President, Amazon Devices and Services. "With a larger 7-inch, 300 ppi display, waterproof design, and Audible built right in, the all-new Kindle Oasis is our most advanced Kindle ever. Its thin, light, and waterproof design allows readers to stay engaged in the author's world in even more places than ever before."